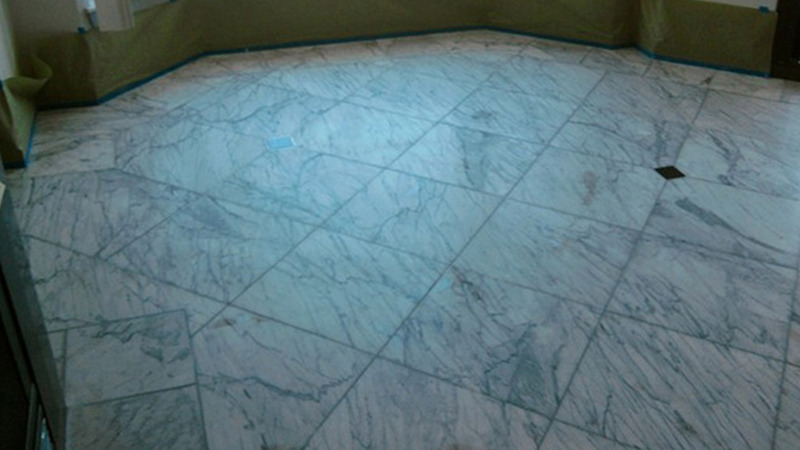 BEFORE–Marble floor is dingy and has lost all luster if it ever had any. Natural stone is one of the most elegant and impressive appointments in your home or building. It is beautiful and durable. Like any surface, however, it can become scratched, chipped, etched, or dulled in appearance. Or it may have been installed improperly, leaving it with lippage. If this has happened to your fine natural stone surfaces, you may think you have to live with it or go to the expense of replacing it. Nothing could be further from the truth! At SPARKLE Surface Care we know how to clean, polish, repair and restore all types of natural stone. 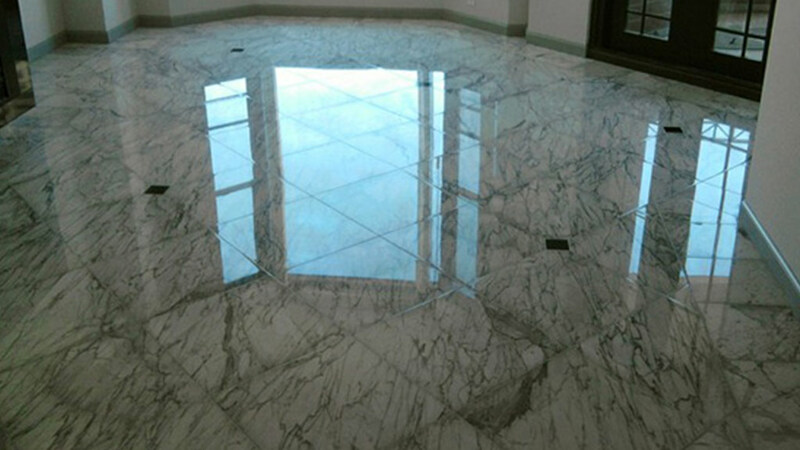 AFTER–Marble now has brilliant color and more luster than when it was new.